Instead of receiving gifts to celebrate his birthday, Andrew is giving them away! 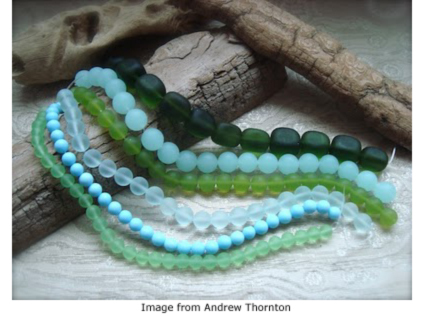 Leave a comment at Andrew’s blog for your chance to win these gorgeous sea glass beads for day three of the week-long series. Lovely hues, almost icy in color!! Love the colors.